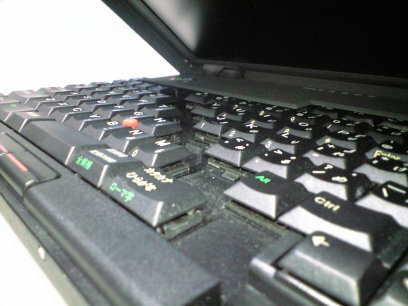 TrackWrite is a separatable keyboard which is used by ThinkPad 701 series. 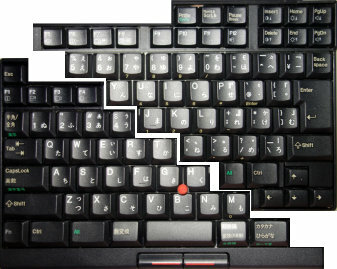 It was developed to solve problems that minimize size of footprint and supply full-sized keyboard. The mechanism is complicated and the cost seems to be high. So TrackWrite is only used by ThinkPad 701 series. 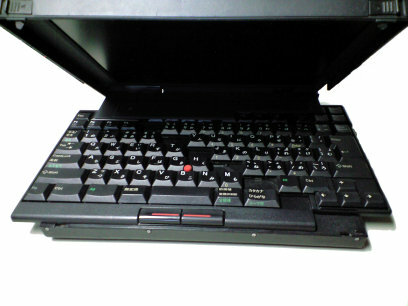 The following video is a movement of TrackWrite keyboard when open and close display. 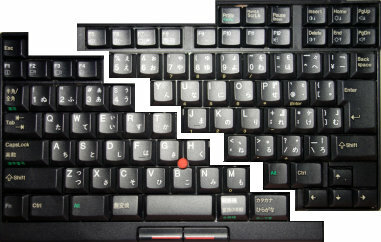 If a display is opened, a keyboard will expand little by little and full-sized keyboard will appear finally. The keyboard is divided in the portion of a red line. 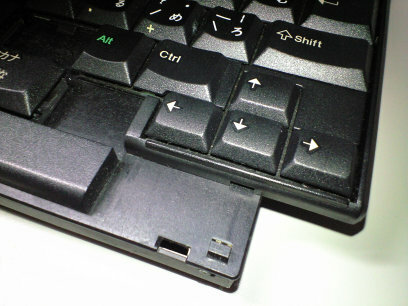 When display is closed, the keyboard is housed as follows. 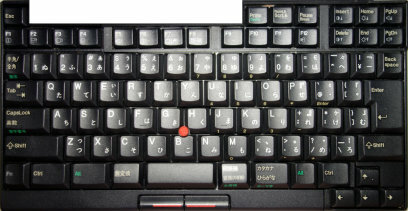 When display is opened, the keyboard moves as follows. Finally, the keyboard is expanded to full-size. In this situation, we can't be aware of that the keyboard is separatable. There are some photos which are taken by other viewpoints.